Look for single-letter words, double letters within words, and apostrophes. Look for common words (e.g., the, an, that). The more you play, the more certain trends will become apparent. 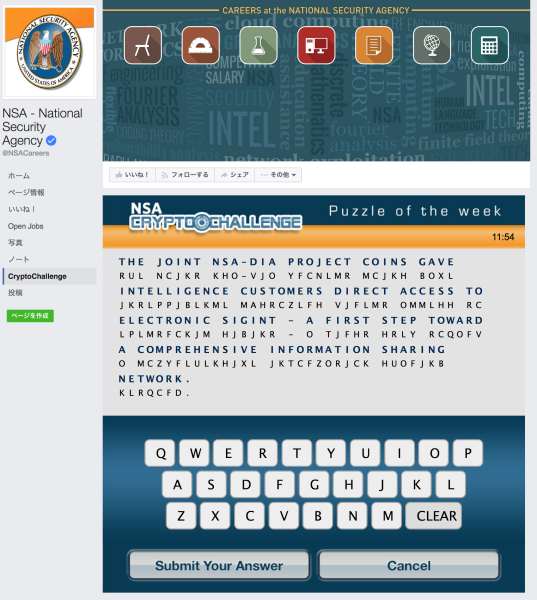 答え：THE JOINT NSA-DIA PROJECT COINS GAVE INTELLIGENCE CUSTOMERS DIRECT ACCESS TO ELECTRONIC SIGINT - A FIRST STEP TOWARD A COMPREHENSIVE INFORMATION SHARING NETWORK.